STUDY: Was Fox News Trying To Scare People With Their Egypt Coverage? Eee gads! 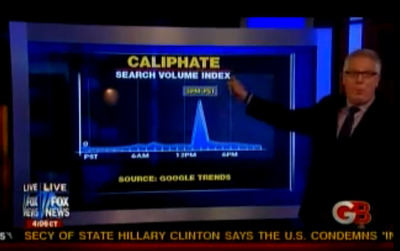 Could it be Fox News was trying to scare people about the uprisings in Egypt? The good folks over at Pew’s Project for Excellence in Journalism have just released their study on the media’s coverage of Egypt (they do this for the ‘newshole’ every week) and it makes some interesting conclusions. Notably, Fox’s coverage of the uprisings in Egypt had a different tone than the rest of the cablers. Before you ask, yes, Glenn Beck and Sean Hannity were “among those in the media expressing the most concern about the ouster of Mubarak.” Indeed.